The release date for Final Fantasy XIV Content Patch 4.25 is fixed: 13.03. 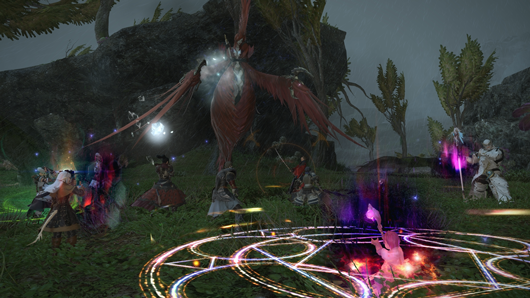 Players will be able to enter the Forbidden Land, Eureka. In addition, the fan favorite Hildibrand teaches back. And as a bonus, there is the continuation of the quest series about the funny adventures of the popular character Hildibrand. Fans of the Final Fantasy series will find the name Eureka very familiar. In FFIII, the Forbidden Land, Eureka was an optional dungeon, where long ago the strongest weapons and spells were sealed because they were far too powerful. This concept also brings the development team to FFXIV. The launch of the Forbidden Land will also feature the first relic quest from Stormblood live. The special thing is that in contrast to the Zeta and Anima quests, Eureka will be able to reinforce not only his weapon but also the job-specific armor. However, Eureka’s functionality differs drastically from all other content in Final Fantasy XIV. There are strong elemental currents on the island: normal levels do not do much there. Instead, the heroes must collect elemental EXP and then distribute them on the special “Magia Board” so that you can make the most of the elemental strengths and weaknesses of your opponents. The adventures of the legendary master detective Hildibrand Helidor Maximilian Manderville go into the next round! 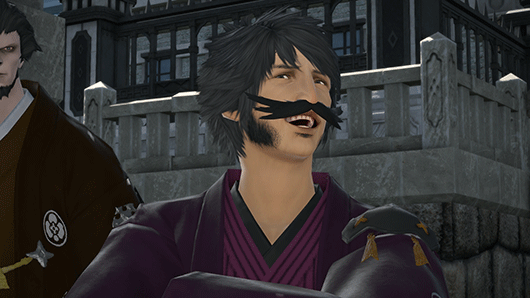 The witty quest series about the miserable, but kind-hearted detective Hildibrand had become so popular with the players that the producer Naoki Yoshida had promised to continue them in Stormblood. After his last outing to deliverance in the Heavensward expansion, Hildi now heads for the far east to Kugane. Because there is a thief named Wolf Burglar, the rich upper class of the city in a panic and Hildibrand’s faithful assistant Nashu is already hot on his heels.